When it comes to virtual reality, most game developers have reacted about as I’d expect: Tentative interest, a few curious experiments, maybe a demo or two. Maybe even—in a select few cases—a game. One whole game. The proverbial toe in the newly-opened pool. Not Insomniac. 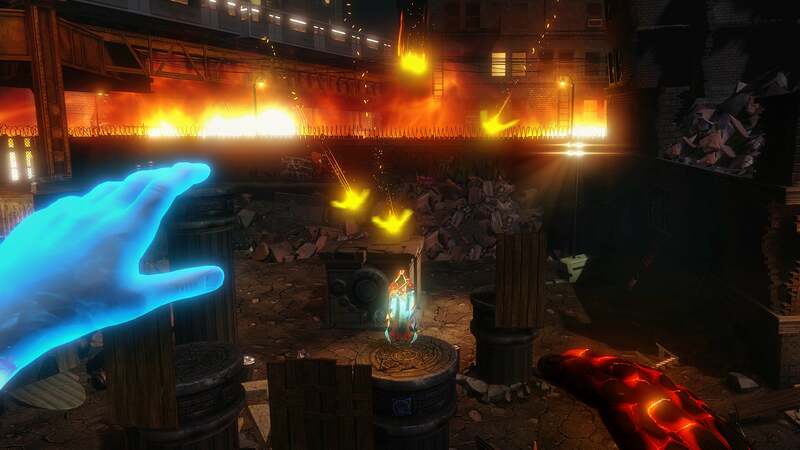 With a twenty-two year legacy spanning Spyro, Ratchet & Clank, Resistance, Sunset Overdrive, and more, Insomniac is probably the biggest studio I’ve seen stake a claim in VR. A huge claim. Like, three games this year alone: The already-announced Edge of Nowhere and two new titles, Feral Rites and The Unspoken. Three games on fledgling tech with a tiny install base. Whether that’s genius or stupid, I suspect we won’t know until virtual reality either dominates gaming or decorates the same landfills as 3D televisions and plastic guitars. It started with Edge of Nowhere, a third-person game unveiled last June as an Oculus Rift exclusive. Early demos made it seem likeTomb Raider transposed to virtual reality, though it’s clear now that the game folds in just as much H.P. 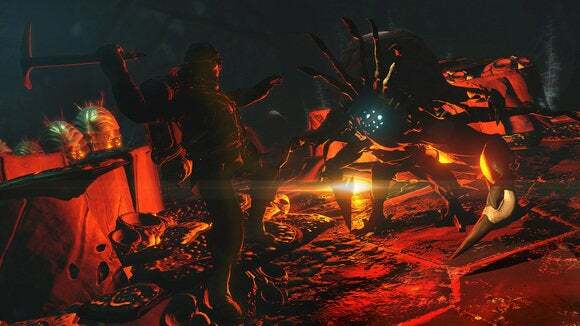 Lovecraft influence (specifically: At the Mountains of Madness) as it does Lara Croft. You play Victor Howard, an explorer straight from the cover of some pulp adventure novel. He’s gone to Antarctica to search for lost friends but (Lovecraft, remember) loses his mind instead and begins hallucinating people, places, entire conversations. An ice cave becomes Miskatonic University. A dead end becomes a house with a white picket fence and a phonograph lazily revolving inside. And I’ll admit: That approach is working on me. 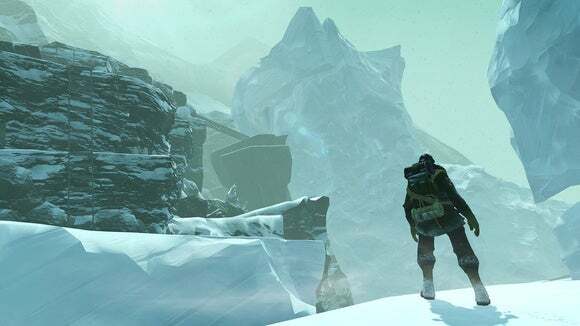 Edge of Nowhere’s blend of lite-stealth and exploration is shaping up to be the most interesting full-scale game to hit the Rift since the release of Chronos, regardless of how it takes advantage of the hardware. 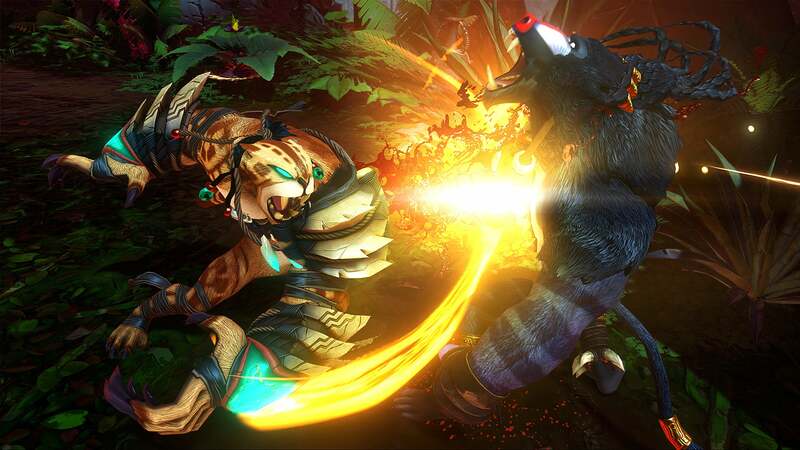 Feral Rites takes the same game-first-VR-second approach. At least, I think it does. There’s precious little to go on because Insomniac hasn’t put together a demo yet, so we got the trailer-and-talking presentation at last week’s event. Oh wait, maybe I should’ve led with the fact that in order to exact revenge you transform into an animal and maul your enemies. 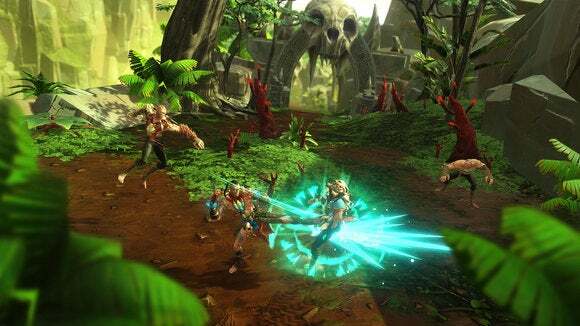 It’s a damn shame Insomniac didn’t have a demo of Feral Rites on hand because they name-dropped God of War, Zelda, and cheesy arcade classic Altered Beast in the same sentence. It’s a path straight to my heart. But as with Edge of Nowhere, I’m not entirely sure why Insomniac opted to bring this idea to virtual reality. It seems like a great game but...well, a third-person brawler. 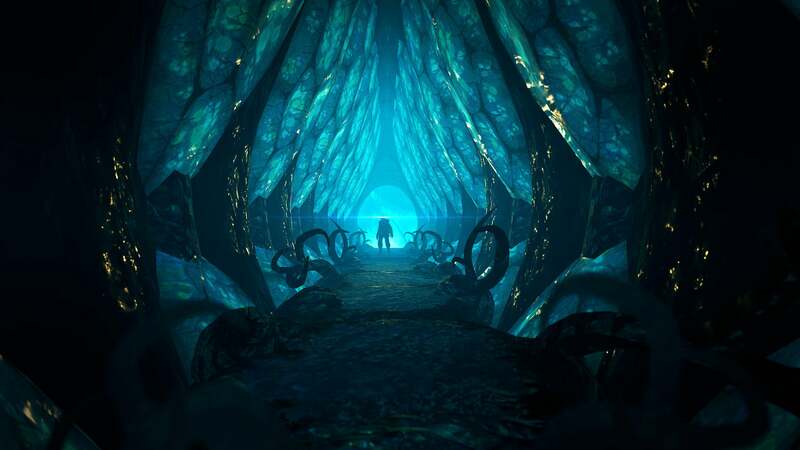 Which leaves The Unspoken as Insomniac’s VR gimmick game. 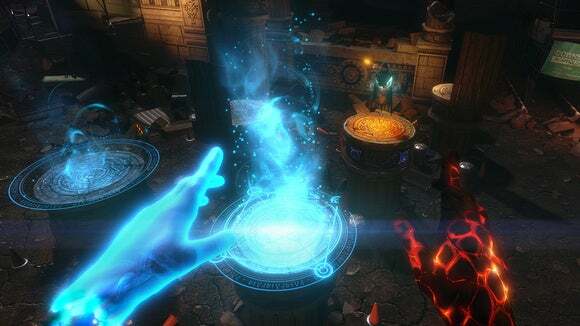 It’s not due to release until the end of the year, but this is the studio’s Oculus Touch project: An arena-multiplayer game where you teleport around and cast spells at an opponent. I’m most excited about the world-building, of all things. Insomniac described it as an “urban magic fight club,” an alternate-take Chicago where sorcerers settle their differences in back alleys. As for how it plays, the nearest equivalents are other Oculus Touch games like the FPS Dead & Buried. And seeing as none of those are released yet...well. Suffice it to say, you can use the Rift’s rudimentary position-tracking to duck behind walls, pop out, shoot off a few fireballs with one hand, block incoming ones with a shield on your left, and gradually whittle down your opponent’s health bar. You also have a number of more powerful spells at your disposal. For instance, a bird skull you can use to summon a murder of kamikaze crows, or a magical hammer that you slam onto an anvil three times to craft a high-damage spear. It’s a cool little game, but little is the operative word at the moment. The Unspoken is still in the same “This is more of a demo” realm as most Oculus Touch games—or most VR games, for that matter. It needs quite a bit more substance before hitting the home market. And there are concerns about Oculus’s own foray into room-scale hardware. As much as I like the Touch controllers, the lack of a safety-focused feature like the HTC Vive’s Chaperone is apparent when playing something fast-paced like The Unspoken. I watched multiple reporters stray from the prescribed boundaries and punch Oculus camera setups during our demo. That’s not Insomniac’s fault. It’s on Oculus for not building (or at least not announcing) a more robust way to keep users safe and alert them to their real-reality surroundings. If virtual reality catches on, I suspect people will look back at Insomniac and say their 2016 lineup was prophetic. Three virtual reality titles. Three! When the most forward-thinking studios are working on one, maybe two—and almost exclusively unannounced. But it’s still a hell of wager. One that, if successful, has Insomniac poised to capitalize on a strong partnership with Oculus and a year’s head start on VR. That’s a big “If” though.